Latest Edition of Fieldbus Report Now Available! You can now download the latest edition of the Fieldbus Foundation’s Fieldbus Report on our web site. 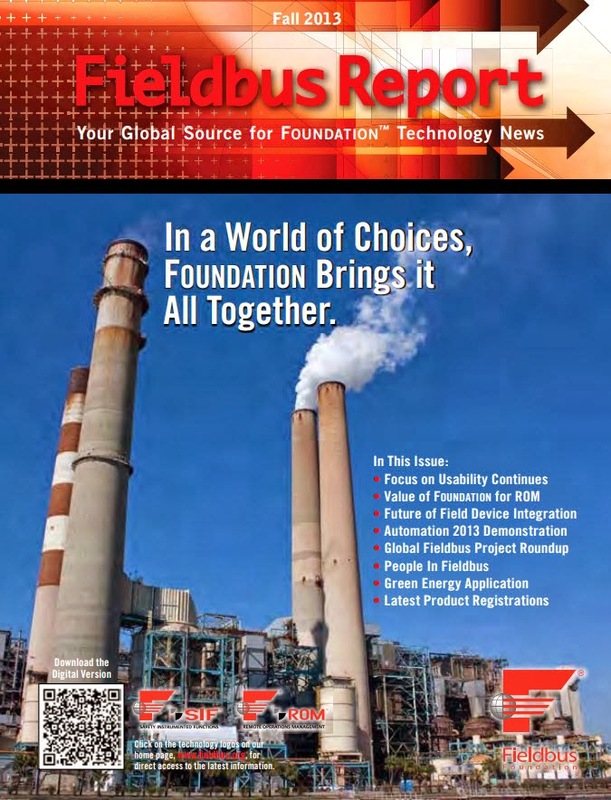 The latest edition includes stories about the proposed merger between Fieldbus Foundation and HART Communication Foundation and our new Usability Initiatives. You can also read an update on our FOUNDATION for ROM technology initiative as well as a report from the ROM demo at the Automation Mumbai show. We also have a new project roundup, an update on FDI, and a new installment for our ongoing series of “People in Fieldbus” articles profiling Matt Schrier of Honeywell. A very good post in the Emerson Process Experts blog about the differences between FOUNDATION fieldbus and HART. Bottom line, both are good and both can address different requirements in your plant. Understand the differences! FOUNDATION fieldbus continues to be installed in large capital projects all over the world. Here is a recent announcement from Emerson Process Management on a new Lubrizol Additives facility in China that has significant fieldbus content. The new edition of Fieldbus Flash is available at ControlGlobal. Fieldbus Flash provides the latest news from the Fieldbus Foundation, as well as information about new project wins, new products, and more.